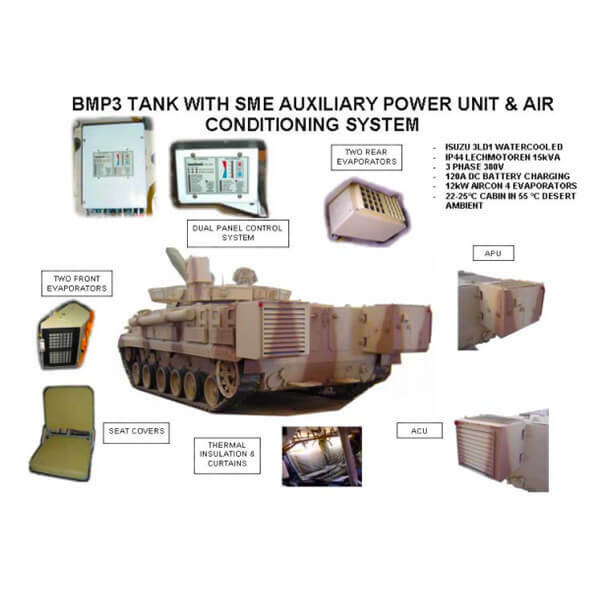 28V, 120A to charge the vehicle batteries or supply the total electrical requirement of the turret without starting the vehicle main engine as well as a possible WMS system. 15kVA AC as full supply for the air conditioning system (ACU). A semi-integrated air conditioning system (ACU) to supply 12kW cooling in a 55°C ambient condition. 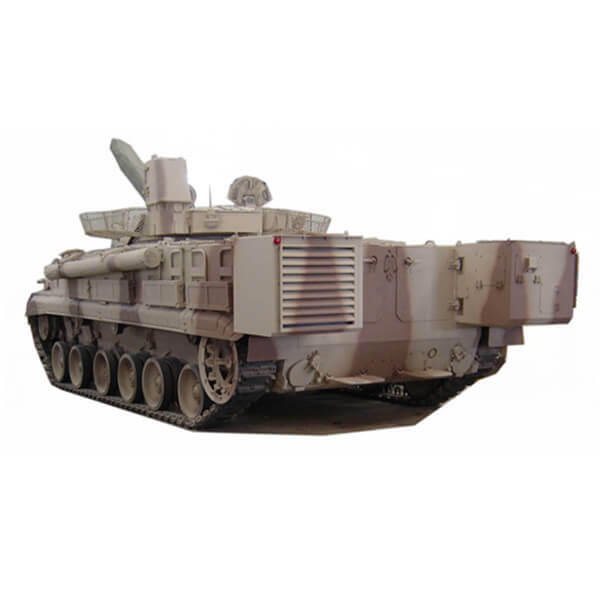 The ACU fully operates in conjunction with the APU and does not require main vehicle power. 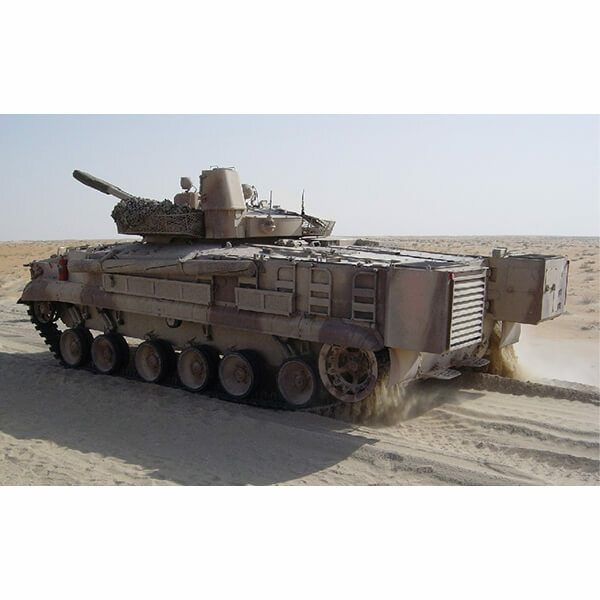 The APU/ACU system does not restrict the standard operational features of the vehicle in terms of firing, mobility and buoyancy (floating capability). With the APU/ACUs mounted, it will however not be possible to parachute-drop the vehicle from an aircraft. Installation of the units requires minimal vehicle modifications, and evaporators are mounted inside the vehicle in such a way that personnel actions and movement are virtually unaffected. As part of the upgrade, thermal insulation material will also be installed to cover at least 70% of sidewalls and roof areas. Furthermore, thermal blankets should be installed in the rear section between the crew and engine compartments to largely reduce heat gain and noise. Though the vehicle length is extended with the APU and ACU fitted, it would with minor modification (move spare wheel) to the tank-transporting trailer, still be possible to load two BMP3 vehicles on a single trailer.